CAA recognizes the lives and achievements of the following artists, architects, scholars, teachers, collectors, filmmakers, authors, critics, philanthropists, and other important figures in the visual arts who have recently died. Of special note is William A. Peniston’s text on the art historian Karl Lunde, who passed away in late December. 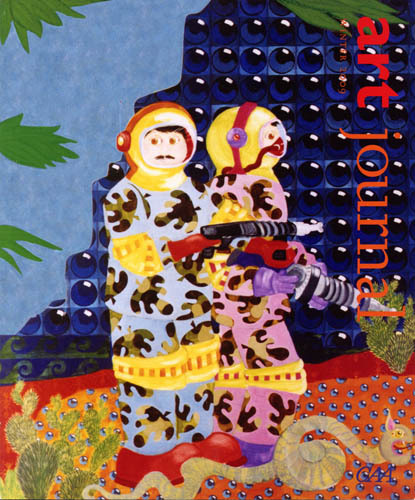 The Winter 2009 issue of Art Journal, CAA’s quarterly of cutting-edge art and ideas, has just been published. It has been mailed to those CAA members who elect to receive it and to all institutional members. Photography is the focus of the Reviews section. Stephanie Schwartz evaluates Words without Pictures, a recent collection of essays by artists and theorists, published in book form and online, and Jason Weems reviews a trio of books: On Alexander Garndner’s Photographic Sketch Book of the Civil War, Lynching Photographs, and Weegee and Naked City. The Winter 2009 issues sees the end of Rodenbeck three-year term as editor-in-chief. She handed the journal’s reigns the new editor, Katy Siegel, in July 2009. Siegel’s first issue, a combined Spring–Summer issue, will appear in early May. While most news updates in the aftermath of the devastating earthquake in Haiti on January 12 are rightly focused on rescue efforts, information about losses of the country’s artistic, architectural, and cultural life have begun surfacing. A report from the Rutland Herald, published a few days after the quake, told us about the death of Flo McGarrell, a thirty-five-year-old artist who had been the director of FOSAJ, a nonprofit art center in Jacmel, a French colonial town in southern Haiti. The Biblical murals at the Cathedrale of Sainte Trinite (also known as the Episcopal Holy Trinity Cathedral) by some of Haiti’s best-known artists “are now largely dust,” according to Lesley Clark of the Miami Herald. The Centre d’Art, founded in the 1940s by a group of Haitian artists and writers in collaboration with an American educator, is badly damaged as well, and the Culture Creation Foundation has lost its offices and eighteen years of work. Clark details other significant losses, including the private collections of Carmel Delatour, who herself perished in the quake, and Georges Nader. Nader and his wife survived, but hundreds of paintings by Philomé Obin and Hector Hyppolite, among many other artists, did not. About 100 of his 15,000 works were salvaged from the Musée d’Art Nader, which was part of the collector’s home. (Other sources number 50 surviving works from a 12,000 piece collection.) There is some good news: his son’s Nader Gallery in nearby Pétionville was barely touched. Clark also reports that a Quebec-based Haitian critic and curator, Gerald Alexis, is working to mobilize arts groups to help preserve surviving works, and the Waterloo Center for the Arts in Iowa, which has a large collection of Haitian art, has established a relief fund. In addition, the Haitian government has deputized Daniel Elie, a former minister of culture, to conduct a nationwide inventory. For the Wall Street Journal, Pooja Bhatia describes the loss of the Sacre Coeur church, including its stained-glass windows, as well as the National Cathedral in Port-au-Prince. She also provides a biography of Nader and an account of the Haitian art scene before and after the disaster. Bhatia notes that none of his works was insured. Marc Lacey of the New York Times mentions the destruction of the Supreme Court building and the National Palace, a French Renaissance–style building that was home the Haiti’s president. Although no permanent collection of art and artifacts were housed there, the status of works in the ceremonial rooms is unknown. Some believe the collections in the nearby National Museum, which was built underground, survived, and the contents of the National Archives appear to have fared well. UNESCO reports that the National History Park, an early-nineteenth-century complex in northern Haiti made up of the Palace of Sans Souci, buildings at Ramiers, and the Citadel, was probably spared. However, the colonial town of Jacmel in the south has witnessed the collapse of many buildings. ICOMOS has assessed the situation and considers it impractical, perhaps even insensitive, to send team that will further tax the scarce local ability to provide food, shelter, medical attention and other basic services, especially while our Haitian colleagues and all the Haitian nation are still struggling for sheer survival while dealing with personal tragedies, loss of family and the wholesale destruction of their homes…. At this time, our efforts are focused on planning and preparing the mobilization process and all its logistics, on the field work methodology, and on the composition and training of the international and multidisciplinary volunteer teams in order that they be ready to be deployed as soon as the go-ahead to do so is given. It is important that this work be centralized in ICOMOS to ensure uniformity in the field evaluations and avoid redundancy. Katherine Slick, executive director of US/ICOMOS, has announced that her organization has set up a fund to receive tax-deductible donations to support these efforts. Checks may be made out to US/ICOMOS-Haiti Recovery and mailed to: US/ICOMOS, Ste. 331, 401 F St. NW, Washington, DC 20001. An easy method to make your donation online will be set up soon on the US/ICOMOS website. 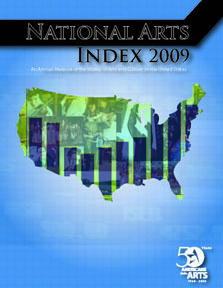 This week Americans for the Arts will present a free webinar on the findings of the first annual National Arts Index, a measure of the health and vitality of arts in the United States between 1998 and 2008. Randy Cohen, vice president of local arts advancement at Americans for the Arts and index coauthor, will host the webinar on Wednesday, January 27, 2010, at 2:00 PM EST. Outlining the findings of the study, the webinar is free and available exclusively to professional members of Americans for the Arts and Half-Century Summit registrants. Registration is required. How sustainable are arts and culture in our dynamic society? Are the economic resources and potentials sufficient for their future vitality? Join us in a lively discussion about the health and vitality of the arts sector through the lens of the National Arts Index. It’s illuminating and often provocative. Findings include trends in organizational capacity, changes in personal participation and creation, nonprofit vs. for-profit, funding, education, and more. Learn how the index can be used to spur conversations, shape strategies, and educate decision makers, and improve the state of the arts in America. This webinar will introduce content that will also be covered in more depth at the Americans for the Arts Half-Century Summit. On January 21, 2010, National Endowment for the Arts Chairman Rocco Landesman gave a policy address at the annual meeting of the United States Conference of Mayors. In his speech, he addressed the role of smart design and artists and arts organizations as place-makers and announced the NEA Mayors’ Institute on City Design 25th Anniversary Initiative. This funding program builds on the accomplishments of the Mayors’ Institute on City Design (MICD) over its twenty-five-year history and reflects the program’s tenets of transforming communities through design. Application to MICD 25 is open to the six hundred cities (or their designees) that have participated in the MICD since 1986 or are committed to participate in an institute in 2010. All phases of a project—planning, development, design, implementation, and related innovative arts activities—are eligible for support. The NEA encourages partnerships which can further the success of MICD projects, especially when involving public and private sector resources. The NEA anticipates awarding up to fifteen grants ranging from $25,000 to $250,000. Guidelines and application materials are now available on the NEA website. Since its inception in 1986, more than eight hundred mayors from six hundred cities—from small town to metropolises—have participated in a MICD session. These mayors learn that through design and the engagement of arts and cultural activities, communities experience a celebration of place that can have a powerful impact on community sustainability and vitality. This place-making is accomplished by providing opportunities for creativity, building social networks, facilitating connections across geographic boundaries, and serving as magnets for attracting a vibrant workforce. Please see Landesman’s complete speech. Following the submission of the amended Google Book Settlement in November 2009, the deadline for opting out was extended. The new deadline is January 28, 2010 (postmarked or submitted online on or before that date). Opt-out forms (to mail in) and instructions for opting out online are available at the settlement website. You may also read the settlement FAQ for more information. Today the US State Department announced the removal of a ban on two foreign Muslim scholars, Adam Habib from South Africa and Tariq Ramadan of Switzerland, from entry into the United States. The American Association of University Professors and the American Civil Liberties Union, among other groups, had lobbied for several years to allow Habib and Ramadan into the country for various activities, including a position at the University of Notre Dame for the latter.